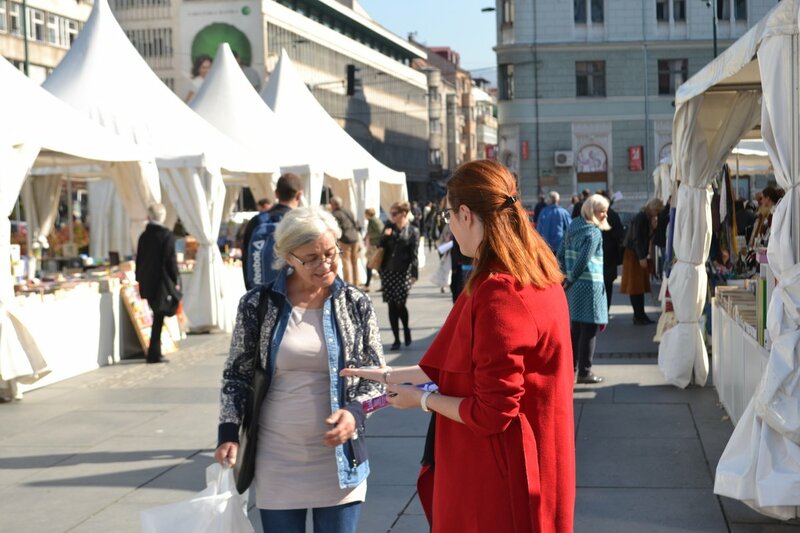 The World Mental Health Day is observed each year on October 10, and it is an opportunity to warn of the growing mental illness and disease problem with the aim of raising awareness, education and efforts to improve mental health. 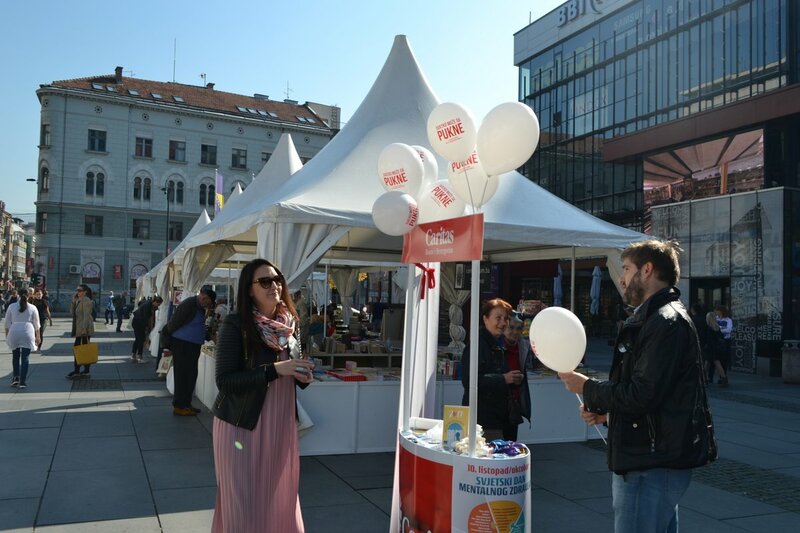 In this regard, Caritas BiH at Sarajevo Children’s Square organized the distribution of promotional materials, thus attempting to draw public attention and call for a stimulus for joint efforts to reduce the stigma and social exclusion of people with mental disabilities. 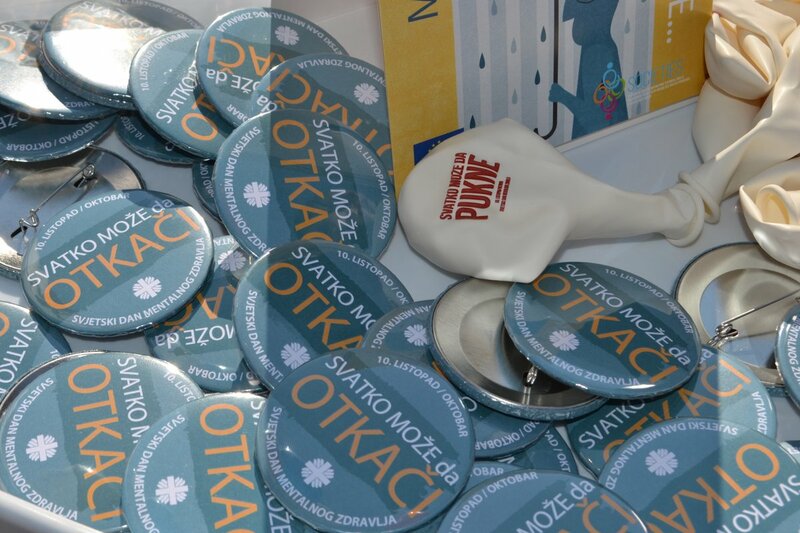 It is estimated that about 450 million people suffer from some kind of a mental disorder. Two thirds of them never ask for help, because they are ashamed and fear a brutal reaction of the community. People with mental disorders are often stigmatized, discriminated and neglected from society, even from their closest ones. 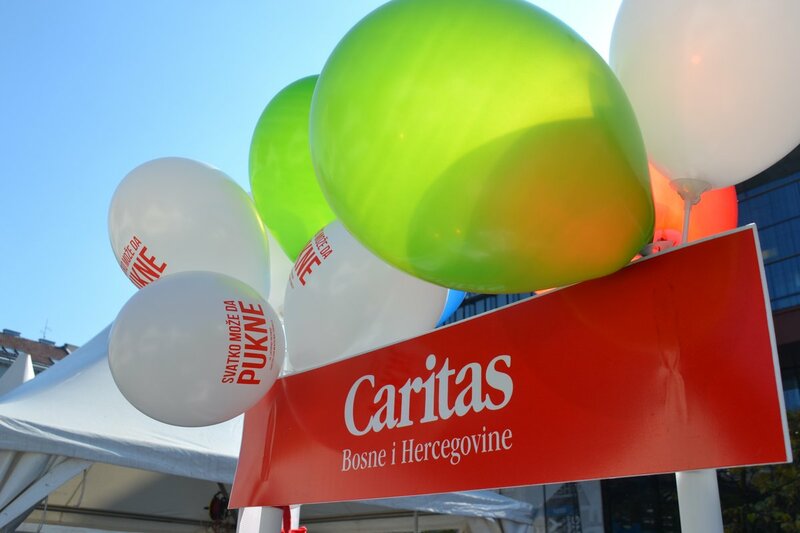 With this campaign, the Caritas wanted to point out that mental disorders are real diseases, like all others, cardiovascular or pulmonary, and that with appropriate care they can be efficiently treated, especially if the treatment starts on time. 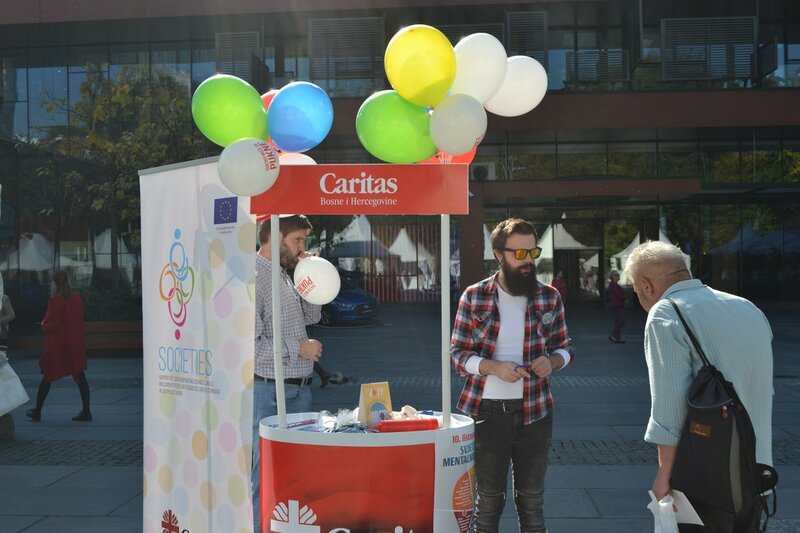 Caritas Campaign IT CAN HAPPEN TO ANYONE, under the slogan “Mental Illness and Disability are not contagious, but indifference is” is being implemented within the EU funded project SOCIETIES Support Of CSOs In Empowering Technical skills, Inclusion of people with disabilities and EU standards in South East Europe.